A desert is a barren area of land where little precipitation occurs and consequently living conditions are hostile for plant and animal life. The lack of vegetation exposes the unprotected surface of the ground to the processes of denudation. About one third of the land surface of the world is arid or semi-arid. This includes much of the polar regions where little precipitation occurs and which are sometimes called polar deserts or “cold deserts”. Deserts can be classified by the amount of precipitation that falls, by the temperature that prevails, by the causes of desertification or by their geographical location. 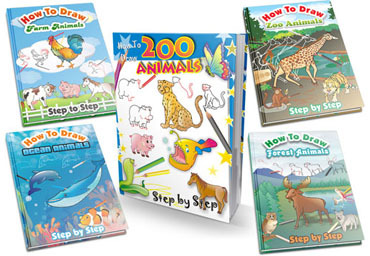 Here are the steps to draw Cartoon Desert. Enjoy! 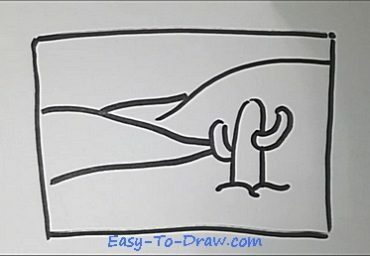 Step 1: Draw the outline of a big Jamaica cactus. 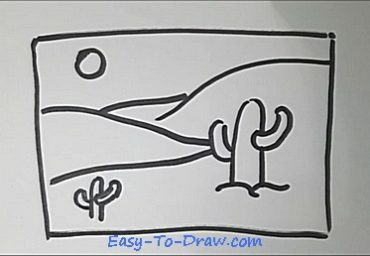 Step 2: Draw some edges of the desert. 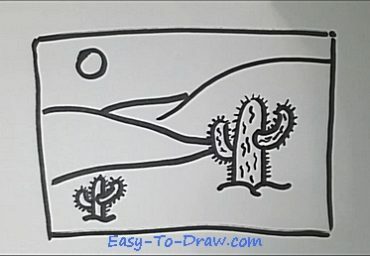 Step 3: Draw a sun in the sky and a small Jamaica cactus. 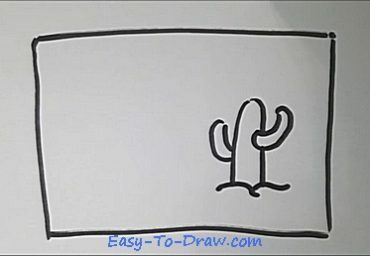 Step 4: Draw some needle-like spines on two cactus. 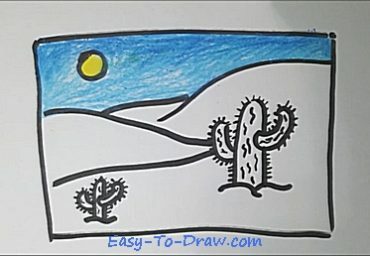 Step 5: Color the sun yellow and the sky blue. Step 6: Color the Jamaica cactus green. 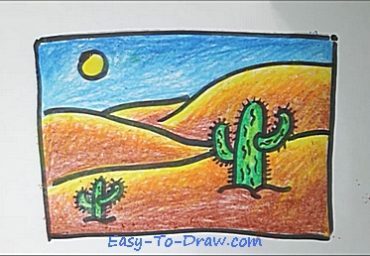 Step 7: Color the desert the yellow and brown with layers. Desert Video Drawing Tutorial for kids!